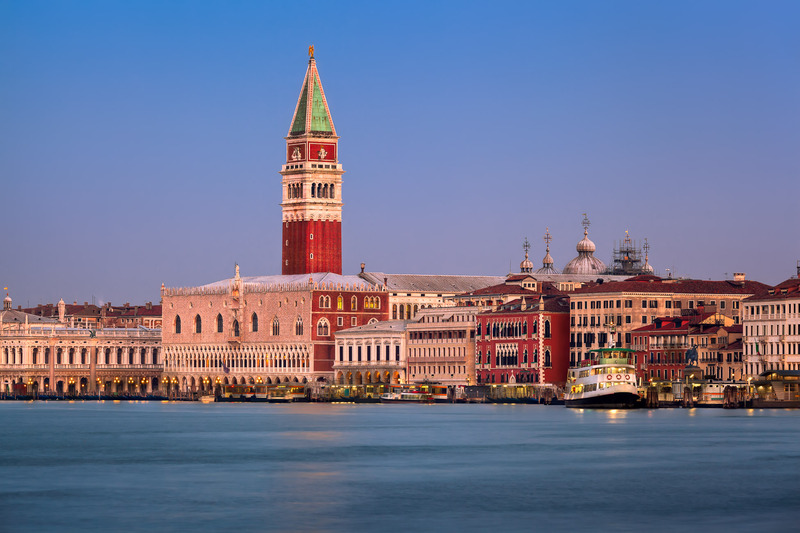 The bell tower you see in this photo, Campanile, is one of the most famous landmarks in Venice. Beyond its beauty, the bell tower served a practical purpose for the city to communicate to its people. March 2014, single image, additional exposures for highlights, focal length 144mm, aperture f/11, shutter speed 1.6 seconds, ISO 100, tripod. Each of the five bells would let the town’s people know specific events. The Maleficio announced an execution – it is chilling to think about the countless people would hear the ominous bell before being put to death. One knew the Senate was in session when they heard the chime of the Mezza Terza. At midday, the people of Venice would hear the dinging of the Nona. The Trottiera called the Maggiore Consiglio to council meetings. Last, but probably everyone’s favorite, the Marangona, the biggest of all the bells, indicated the beginning and end of the work day. One of the bells actually still rings on the hour, so you feel the tower’s presence as you tour through the city. As I approached the tower long before sunrise the next morning, the bell struck the hour. This morning I wanted to create a composition with the Campanile, Doge’s Palace and the San Marco Cathedral. To capture all of them I need to shoot from a faraway distance, so I used my telephoto lens. To find the perfect perspective I stopped at multiple points. It was not easy due the fact it was still dark out! Once I finally found the spot I wanted, I setup the tripod and snapped a few test shots. All that was left to do was wait until sunrise to get started. The composition was perfect with the famous Venice skyline painted with famous landmarks and the glow of the morning light.